How to show testers some love this Valentine’s Day—and maybe be loved in return, too. Great testers are almost as hard to find as a candy conversation heart that isn’t silly. If you’ve got the opportunity to work with some, you want to keep them happy and retain their talents. Fortunately, it doesn’t take too much to keep a tester fulfilled (and their eyes from wandering to other jobs). In my experience, all they want is to belong to a team that makes them feel loved, included, and important. But, as with any long-lasting relationship, sustaining it requires continuous effort. Here’s how coworkers, clients, and managers can show testers some love this Valentine’s Day—and maybe be loved in return, too. Like going on a first date, starting a new job can be nerve-racking. Make the tester feel comfortable when starting out so he doesn’t skip out before you even ask for the check. The first step is treating the tester as an essential part of the team. Often, developers see testers as their adversaries because testers tend to have the opposite mindset. Testers have to figure out how to make the software fail, while developers have to find a way to make it work. Testers assume a skeptical viewpoint while developers are optimistic about their work. But this doesn’t mean the two can’t get along—many times, opposites attract! Instead of enemies, developers should see testers as a complement to their work because their opposing mindset provides the balance needed for a project to succeed. Therefore, when testers find bugs, developers shouldn’t take it personally; both sides are working toward the same goal of making quality software. As a valued teammate, it’s important to remember that the tester deserves to be treated as an equal by the developers. Testers and programmers with the same level of experience in their roles should be paid equally and treated with the same amount of respect. Additionally, don’t assume that testers are all trying to become developers; testers just want to test, and they enjoy their unique, skilled discipline. Now that the tester is feeling cozy around you, there are ways you can make his life easier. For starters, involve the tester early on in the development process. Not only does delaying testing provide headaches for everyone, but the tester will become stressed when you give him something right before you need to release it. With less time, the tester won’t be able to do his best work, leading him to become dissatisfied professionally. If possible, implement acceptance testing: before writing any code, design the test you will use for it. The earlier you let the tester start testing, the faster he can detect bugs and the easier it will be to eliminate them. The tester will also have more time to learn about the system and its intended use—not to mention, he will feel more valued as an integral part of the team right away. Come to think of it, that’s pretty helpful for traditional environments, too. Speaking of, before expecting a tester to test, you need to set up a proper test environment. “That’s fixed, just not in staging,” “You can only see that if a product is configured that way,” or “The production server won’t have this problem because staging is configured differently”—all of these mean testers can’t really test. The tester is forced to believe whatever he is told and hope the statement is true. If a tester complains that the test environment does not have data or is not set up realistically, it means two things: The test effort will be compromised, but also, the tester cares. The latter is good. In fact, it is great. Don’t spoil it. Take concerns about the test environment seriously and get it fixed. Offering a representative and useful database or a copy of one is a gift that could make a tester swoon. Support and clear communication are also time savers that will be appreciated. The more you are there for the tester to help him understand the application, the better. Testers need to get to know systems intimately in order to do their job, so it is important to be available. Answer emails quickly to avoid delays and pick the best form of communication that works for the team. Before your programmers pass something over to QA, have them test it themselves with unit and smoke tests so that the tester can focus on the more challenging aspects, saving them some time. That way, the tester can get more creative with test scenarios instead of reporting that login is broken again, which is a waste of time and talent. And because testers have to verify that a bug has been fixed, never dismiss any. This frustrates testers immensely. 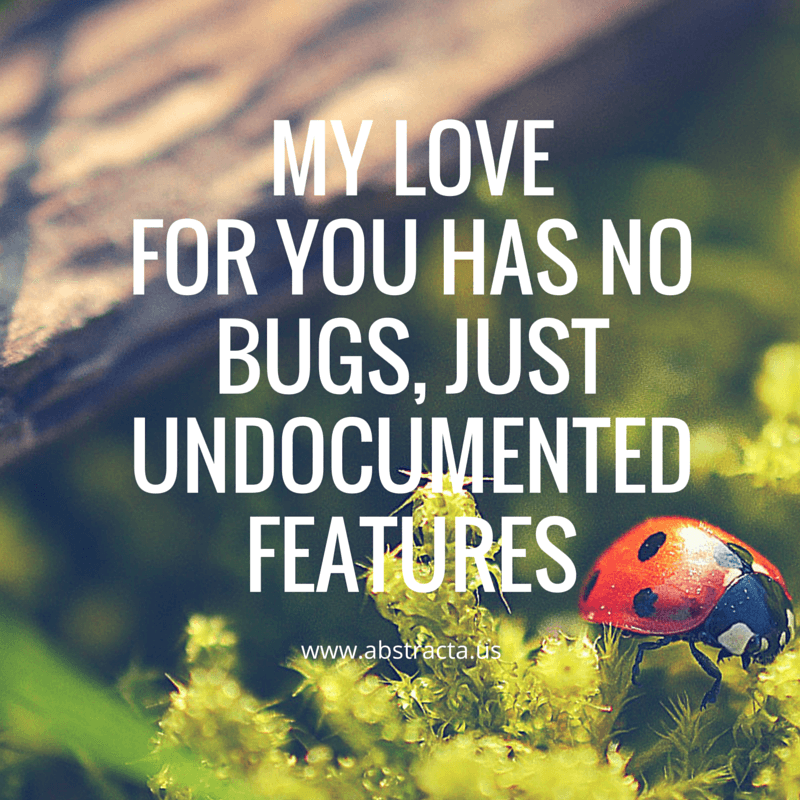 Never say to a tester who has found a bug, “Well, it works fine on my machine.” This shows that you do not trust their work, causing them to feel under-appreciated. No one likes to be the nagging one in a relationship, including testers. If you find the tester “harping” on bug fixes, explain why you made the decision. Formalize the reason, and explain that if it’s wrong, it’s on you—not the tester. Testers are integral to producing high-quality software, but they are often burdened with having to prove it to others. You and the tester both know it’s impossible to confidently release something without undergoing thorough testing. However, managers may see testing as a large expenditure, and developers sometimes see it as an afterthought. If you defend QA by stating that preventing bugs from making it to production is a tremendous value, your testers might start shopping for a ring! As your relationship matures, spice it up a bit every now and then by giving your testers a surprise gift. Send them to a testing conference so that they can learn and share new methods, increase their test knowledge, and meet industry leaders. They will come back refreshed and inspired to try new things with renewed enthusiasm. If you want to really charm them, go with them so you can get a better view of their world, or help them apply to speak at the conference. This way, you are showing your support and confidence. And there’s the added benefit that you will learn some cool things while gaining a greater sense of appreciation for QA. 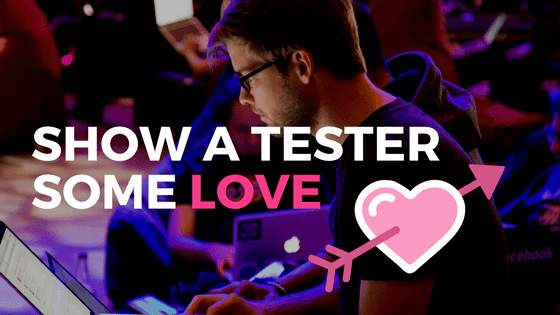 Keep the love alive by continuously showing your appreciation for the testers’ work. Instead of being upset when they report bugs, be grateful; they just helped save you from potential embarrassment (or lost revenue) down the road. If you really want your tester to feel appreciated and loved, ask him for his feedback. Testers love to express themselves when given the chance, and because they know the system very well, you will benefit from what they have to say. The best thing you can do to keep your testers happy is to never make irreproducible bugs again! … Okay, this one may be impossible. But every tester has got to dream! I hope this helps you show your love for a good tester this Valentine’s Day, and throughout the year. Can you think of any other ways? PS, Here’s a Valentine you can send to a tester. See more here. Sofia – Nice article! I’ll forward along. It is a good read for cross-functional team. Thank you, Saurav! Feel free to share it. Hope things are going well!